As more and more people look for alternatives to beverages sweetened with high fructose corn syrup, aspartame, and other unnatural sweeteners, big food corporations are doing everything in their power to stay one step ahead — without using higher-priced, quality ingredients whenever possible. While the clean food movement has made considerable progress in getting big food companies to change their ingredients (see the abandonment of the GMO sugar beet industry as evidence), many companies are far more interested in playing a high stakes shell game than using actual quality whole food ingredients. Case in point: the massive agriculture conglomerate Cargill and its new “EverSweet” sweetener. The substance is set to hit store shelves sometime this year and while the company is marketing it as being similar to stevia, the truth is that it is anything but natural. According to a recent article from the website Food Navigator, the FDA has given the green light for Cargill to begin adding EverSweet to food products, giving it a “generally recognized as safe” distinction (GRAS). Because of the FDA’s decision, there will be no safety testing and no GMO label on products that contain it, even though the process used to create EverSweet has raised plenty of red flags. The new sweetener will be made in “large fermentation tanks, in which a genetically engineered yeast converts sugars (corn based dextrose in this case, which may itself be GMO) into its new components Reb D and Reb M” as noted in the Food Navigator article. The sweetener is said to have a “sugar-like profile” without the aftertaste of stevia extracts. The process is part of what has been labeled “SynBio” genetic engineering, but already EverSweet is being marketed as a “next generation” and healthier zero-calorie sweetener, which is what some believe makes it so dangerous. While the sweetener is “made from the same components as stevia” according to Cargill and stevia is heavily used in its promotional materials, the truth is that EverSweet is a far different animal, and the stevia industry’s reputation may be in jeopardy because of Cargill’s slick marketing techniques and the lack of labeling. 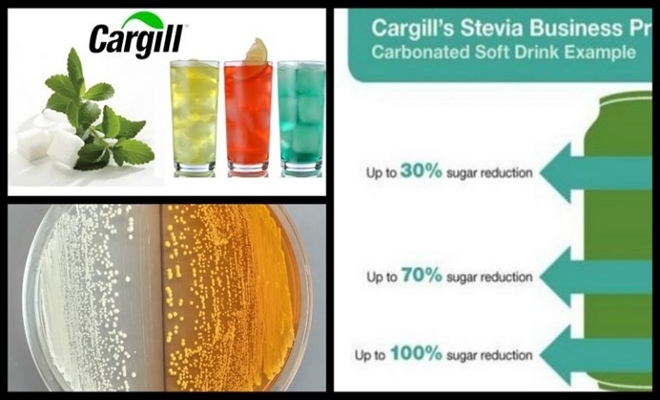 Worried that Cargill’s tinkering and false advertising may harm the reputation of true stevia, the healthy natural sweetener that has been exploding in popularity, the European Stevia Association recently released a letter exposing the truth about EverSweet that is being hidden from consumers. 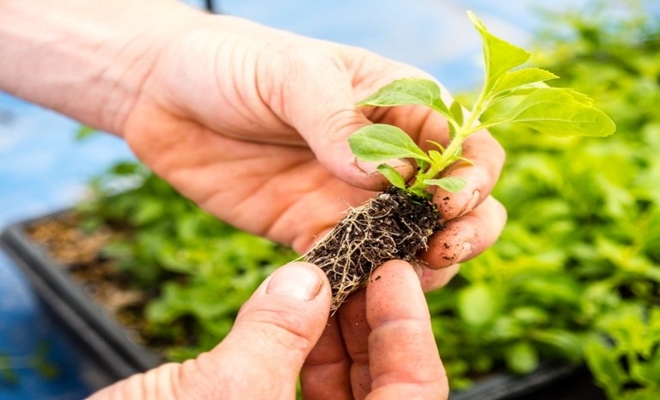 The association says that it is not the same as stevia by any measure, and notes that it is actually made through a synthetic genetic engineering process. The group says it is concerned that stevia’s reputation may be damaged if more food companies decide to adopt the supposedly stevia-inspired product. Thus far Cargill seems unfazed by the backlash against its new product, which means its fate will ultimately be decided by the consumer. The good news is that the sweetener will not be allowed in Non-GMO Project verified or organic products. But for the millions of unsuspecting customers out there who fall victim to Cargill’s latest scheme to confuse the consumer, avoiding the dangerously untested EverSweet will be that much more difficult without labeling. Choose wisely.